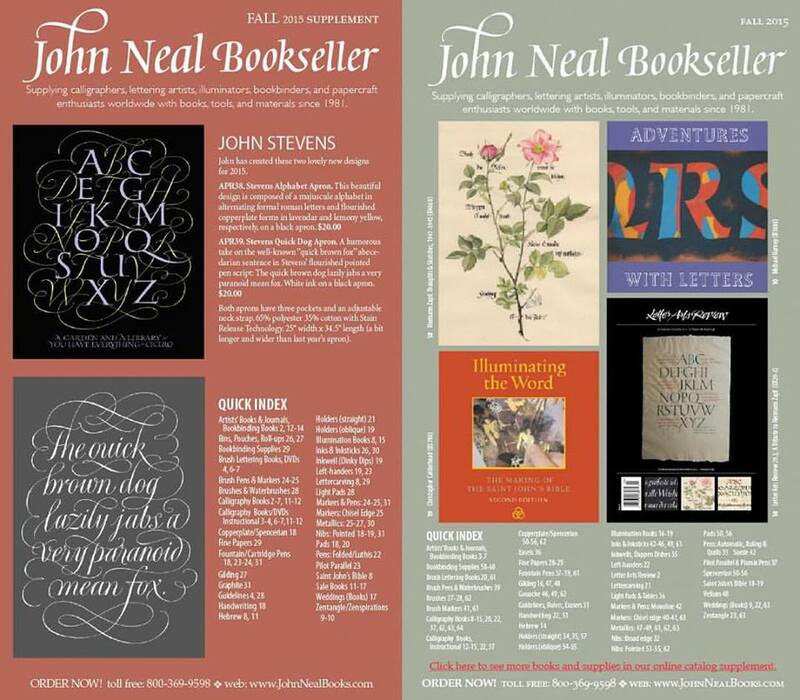 The Fall 2015 John Neal Bookseller catalogs are now available online for download. There are two editions of the catalog, the full Fall 2015 and then the supplemental catalog with new and extra calligraphy and bookbinding supplies available for purchase. Please visit our site here: JNB Catalog Page, to download each in either high or low resolution PDF. For our current sales and specials: Click here! What Are Some Good Ink Choices for Beginners in Broad-Edged Calligraphy? Dr. Ph Martin’s Spectralite Ink Color Chart and Sample Sizes!